Sehr freundliche und sehr hilfsbereite Gastgeber, denen das Wohl ihrer Gäste sehr wichtig ist. Schöne, ruhige Lage. Stilvolles Anwesen mit großem Garten und sehr guter Innenausstattung mit Liebe zum Detail. Sehr schöner Sandstrand, der über einen Fußpfad in wenigen Minuten gut zu erreichen ist. Durch die Nähe zur GR 34 bieten sich viele Möglichkeiten für kleinere und größere Küstenspaziergänge oder Rundwanderungen an. Perfektes Domizil für zwei Wochen Bade- und Exkursionsurlaub in der Bretagne. Fussläufig zum Meer mit toller Küste und wettergeschütztem Badestrand. Sehr freundliche britische Vermieter, die im Haus wohnen und sich um alle Befindlichkeitsstörungen der Reisenden kümmern. Großer Garten mit Liegestühlen und Grill bietet reiichlich Raum zur Entspannung. Es gibt sogar die Möglichkeit, sich im Haus kulinarisch versorgen zu lassen. Ein sehr schönes, gut gelegenes Haus unmittelbar in der Nähe einer auch in der Hauptsaison nicht sehr stark besuchten Strandbucht. Der Zustand der Wohnung: tiptop. Das Beste war die Betreuung durch die Gastgeber: wertvolle Tipps für Möglichkeiten Essen zu gehen, für Wanderungen, Versorgung mit Wanderkarten und einmal sogar eine "Rettungsaktion", als wir uns abends verlaufen hatten und durch den Gastgeber abgeholt wurden. Excellent accueil des propriétaires, toujours aux petits soins et de bons conseils. Appartement luxueux, très confortable, très bien équipé, douillet, dans un cadre idyllique et calme. Proximité directe de la plage, très bon camp de base pour visiter la Cornouaille bretonne ou se reposer sur place. Nous y reviendrons. Tout : l'accueil très sympathique des propriétaires, la localisation à deux pas de l'anse de Rospico, paradisiaque (plage et chemin côtier), le calme. L'appartement est très bien équipé, avec draps et serviettes, et le petit-déjeuner du premier matin vous attend dans le frigo! Super pour les vacances ! 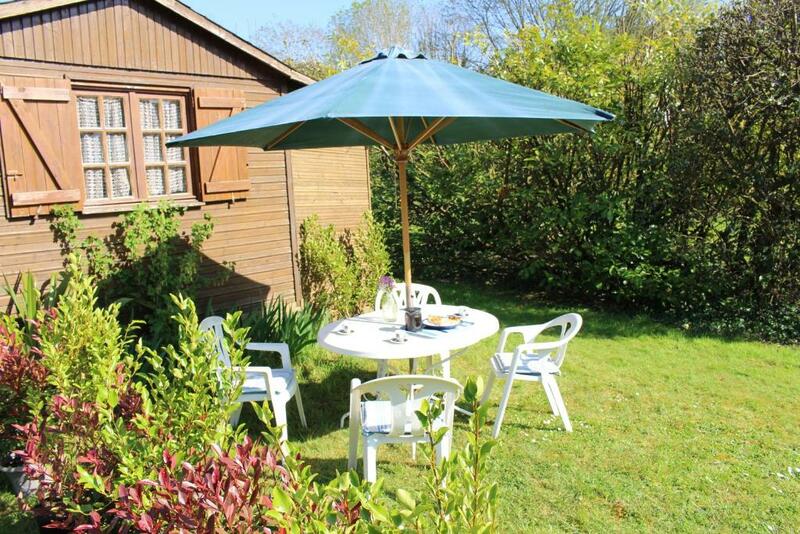 Lock in a great price for Maison Mimosa - rated 10 by recent guests. One of our top picks in Névez – and a guest favourite. 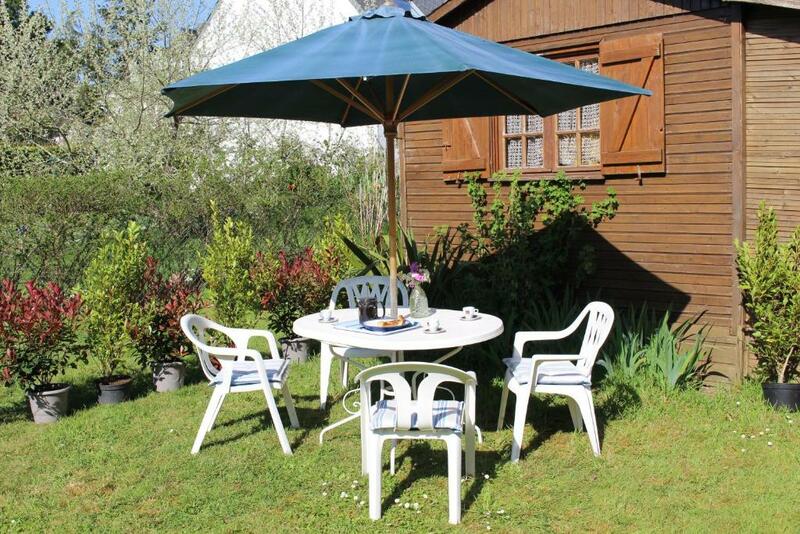 Situated in Névez, Maison Mimosa provides free WiFi, and guests can enjoy barbecue facilities, a garden and on-site dining. All units come with a seating area, a flat-screen TV with satellite channels and a fully equipped kitchen. A dishwasher and oven are also offered, as well as a kettle. Bed linen and towels are provided. Guests at the aparthotel can enjoy a continental or a à la carte breakfast. Afternoon teas and home made evening meals can also be served at an extra cost. 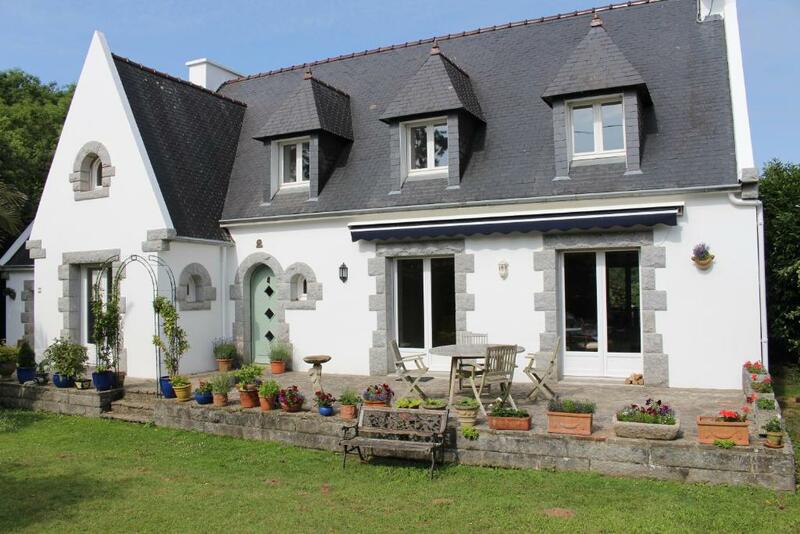 Pont Aven is 6.8 miles from the property, and Concarneau is 11.2 miles away. Lorient is 18.6 miles from Maison Mimosa, while Quimper is 21.1 miles away. Brest Bretagne Airport is 54.1 miles from the property. 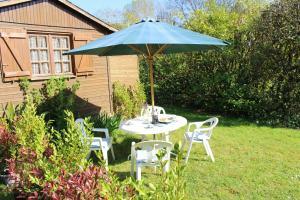 This property also has one of the best-rated locations in Névez! Guests are happier about it compared to other properties in the area. 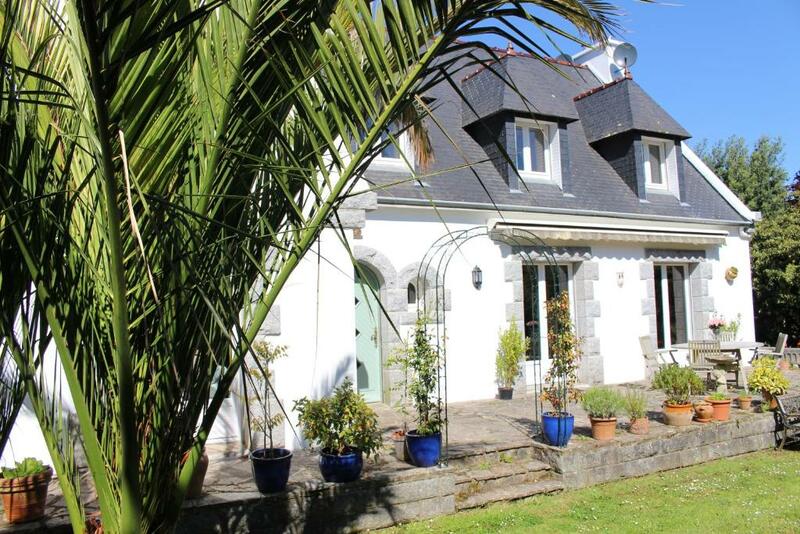 This property is also rated for the best value in Névez! Guests are getting more for their money when compared to other properties in this city. 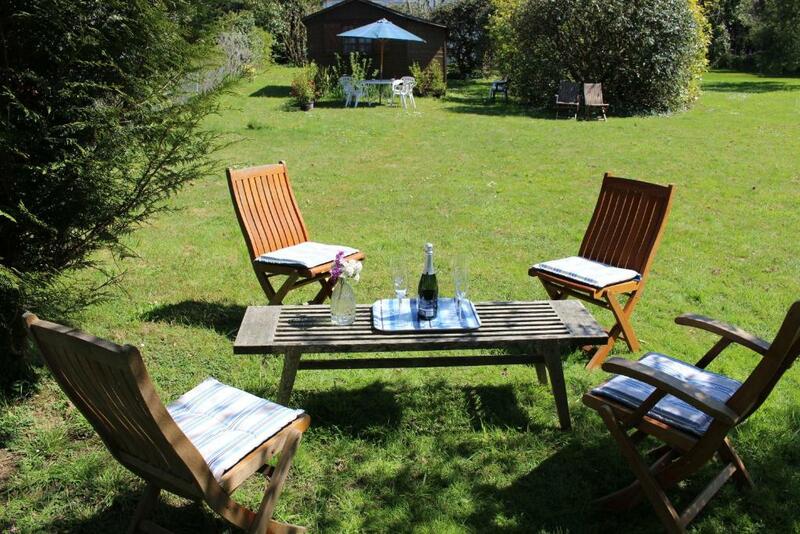 Maison Mimosa has been welcoming Booking.com guests since 7 Feb 2018. 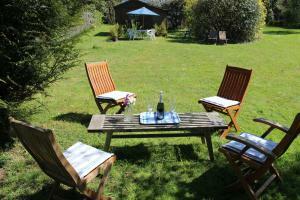 When would you like to stay at Maison Mimosa? This apartment has a private entrance, dining area and electric kettle. This apartment features a private entrance, seating area and stovetop. Maison Mimosa is owned by us: Adrian & Ros Goddard. 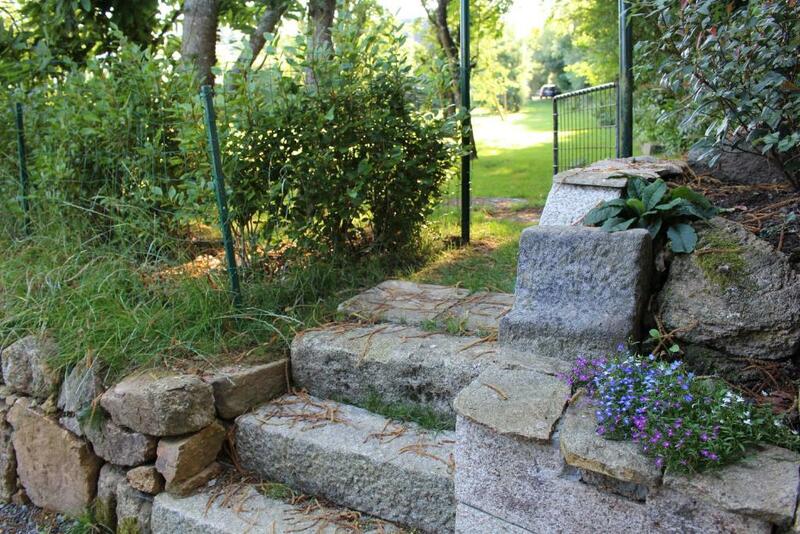 We bought the property after enjoying several holidays in this wonderful area. 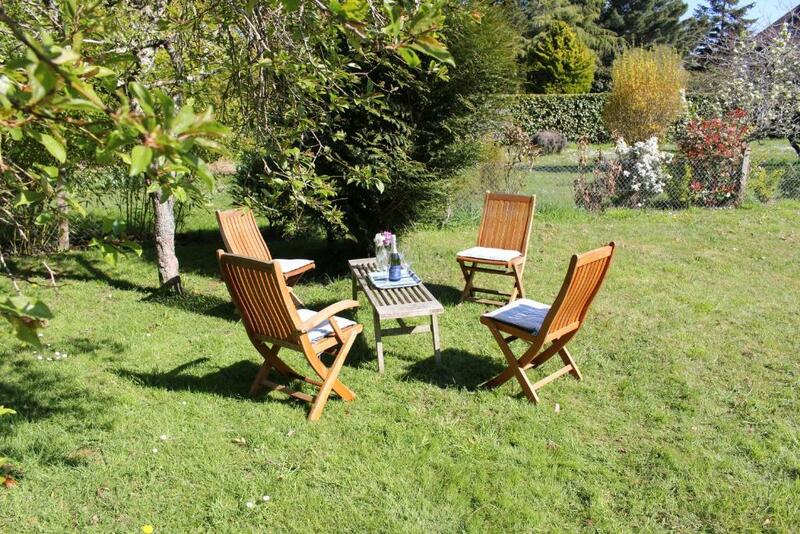 We moved from Shalbourne, near Marlborough in Wiltshire (another gorgeous part of the world) to create a luxurious holiday experience for others to also enjoy this wonderful part of Brittany and the many delights it has to offer. 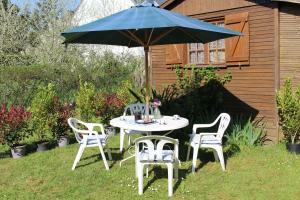 Maison Mimosa has been completely refurbished to a high standard. 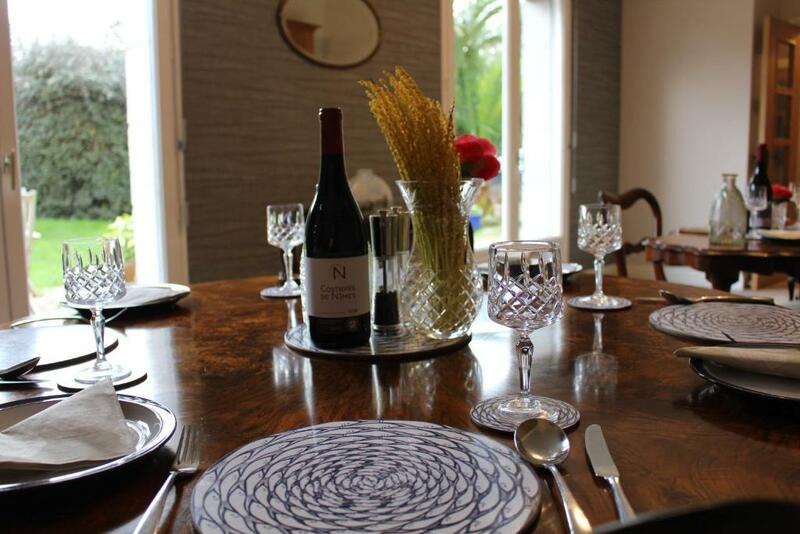 Maison Mimosa proudly offers not only a luxurious level of self-catering accommodation but also the benefits of a hotel environment with evening meals, breakfast and afternoon teas (for an additional charge) all freshly prepared by ourselves. We also cater for vegetarians even offering a vegetarian cheese board, virtually unheard of in France! We aim to make your holiday special by providing our guests with the best of what makes a holiday unforgettable for you. Maison Mimosa is also our home, and we are on site to deal with any of your requests and queries or to help you wherever possible, in an unobtrusive manner, to enjoy your holiday experience to the full. We are sure that once you have visited this beautiful area you will want to come again. We offer our guests a warm welcome and help with taking your luggage to your apartment. We also provide a generous welcome hamper which includes the following; Homemade bread, butter, milk, jam, eggs, bottled water, beers, wine, teabags, Lavazza coffee, sugar and cleaning materials. We also provide you with toilet and kitchen rolls and dishwasher tablets for your stay. We also offer walking holidays with over 30 local self guided walks together with walking maps and guidance notes. Each walk varies in length and most are circular. The walks vary between 5km to 25km (although they can be made longer for those who want an extra challenge). The walking is relatively easy which is good as it will allow you to take in all the beautiful scenery that this part of Brittany has to offer including stunning coastal walking, little lanes and paths that take you through the beautiful countryside with all its charming Breton houses and old churches. You can also get to know places like Concarneau by walking along the local coast and around the fascinating and busy boat yard and fishing port before coming to the picturesque fortified old town with all it's little cobbled streets. At the bottom of the garden is a path that will take you onto several foot paths to start a lovely walk. The path also takes you down to the local beach, 500 metres away, at Anse de Rospico one of the most beautiful beaches in the area. The GR 34 coastal path can take you to Port Manech and beyond or in the other direction to 'Tahiti' beach and further. Port Manech, an idyllic coastal village (5 minute cycle ride or 2 minutes by car), has a well stocked shop and bar where you can buy freshly baked patisseries and bread along with your day to day groceries. Next to the shop is a cycle hire facility and there is also a water sports activity centre and a popular bistro on the beach. Our local town of Nevez (5 minutes by car) offers 2 supermarkets, including a newly renovated large Intermarche, a superb wet fishmongers, a bank, a chemist, 2 boulangeries, 2 bars and several restaurants. Nevez also has a bustling market on Saturday morning. For keen equestrians, the Rospico ranch is a mere 1.5 km from our accommodation in addition to the Botanical Gardens which are only 1km away, which are host to many jazz concerts, including a 3 day jazz festival, throughout the summer months. House rules Maison Mimosa takes special requests - add in the next step! A damage deposit of EUR100 is required 7 days before arrival, which is about GBP86.43. This deposit is fully refundable 7 days after check-out as long as there has been no damage to the property. A damage deposit of EUR 100 is required. The host charges this 7 days before arrival. That's about 86.43GBP. This will be collected by bank transfer. You should be reimbursed within 7 days of check-out. Your deposit will be refunded in full via bank transfer, subject to an inspection of the property.